The unemployment is acute. Starvation is facing thousands of people. The official Labour Movement has deserted the people for the fleshpots of the empire. The Free State Government’s attitude towards striking postal workers makes clear what its attitude towards workers generally will be. Thus wrote Liam Mellows, IRA director of purchases, from his prison cell in Mountjoy Jail in September 1922, several weeks before his execution by the provisional government of Saorstat Éireann. The significance of this seminal incident, the first trades dispute faced by an Irish government, was not lost on Liam Mellowes or his contemporaries. Yet despite the fact that the strike, and the government’s response to it, clearly exposed the inherent antagonisms between a nationalist bourgeoisie and an organised proletariat, it has virtually gone unrecorded in the history books, overshadowed by the national obsession with the details of the Civil War which was still raging at the time. The story of the postal workers’ strike can be pieced together, however, from the records contained in the Postal and Telecommunications Workers Union archive, held in the Irish Labour History Museum. An examination of the twenty-two union files concerning the strike and its aftermath reveals a narrative of high drama that centred around the issue of the right to strike. Whereas the majority of the Irish Civil Service recently gained substantial additions to their permanent remuneration, the wages of the Post Office staff are on practically the same level as those of thirty years ago. Any further reduction will bring Post Office wages to starvation level. The union resolved to take ‘the necessary steps for an immediate withdrawal of labour in the event of a reduction being enforced’. Consequently the government agreed to the setting up of an independent commission of inquiry into wages and working conditions within the postal service, chaired by J.G. Douglas. Its interim report in May 1922 concluded that the cuts could not be borne by postal staff in the lower grades without serious hardship. It recommended instead that certain levels of wages in the postal service be immediately increased, and that any further cuts should be postponed until an Irish cost-of-living index was agreed upon, or until the commission produced its final report. The government, however, ignored the findings and drew up a cost-of-living index based on what the unions alleged were false figures. On the basis of these controversial figures further cuts were announced, to be put into effect in September 1922. ‘In other and plainer terms’, as an article in Voice of Labour, official organ of the Irish Transport and General Workers’ Union, pointed out, ‘a man who, in the opinion of the commissioners, could not reasonably bear a reduction of ten shillings in May, is deprived of fifteen shillings in September’. 2) In the event of subsequent reinstatement on settlement, reinstatement would not carry with it restoration of pension rights for the previous service or of continuous service. the bullying of his workers by a member of the government into dropping legitimate trade union methods of redressing their grievances. There is, indeed, an attempt to deny the right of government workers to be members of trade unions. The government does not recognise the right of civil servants to strike. In the event of a cessation of work by any section of the postal service, picketing, such as is permitted in connection with industrial strikes, will not be allowed. The workers in general, and Trade Unionists in particular, will not be silent. The right to strike is in danger and it must be defended. When the women and men of the postal service withdrew their labour on 10 September, the police and military were ordered to take whatever action they deemed necessary to remove pickets from the streets. Initially the police carried out this onerous task with restraint, and at least one officer was dismissed for refusing to arrest peaceful pickets on the grounds that he was unaware of any law they were breaking. (Despite appealing his dismissal, the officer was never reinstated.) As the strike continued and the military were called in, however, more brutal tactics were employed against the strikers. The government has raised the issue above an ordinary wages dispute—it has raised it to the higher level of the right to strike and the right to picket. It is an issue and a challenge which the trade union movement cannot afford to ignore. Teachers and managers of certain city schools have been asked to supply lists of applicants for Post Office employment—in other words for blacklegging. Will they do so, or will the parents consent to have their children branded by the Free State government with the stigma of juvenile slaves? We shall see. We have the most reliable information that one or two notorious ex-members of the Black and Tans are at present in the service of the PMG [Postmaster General] in Dublin. In more than one instance ex-officials of the Post Office dismissed and imprisoned for theft of correspondence have been re-employed since the strike, and have now access to all kinds of public property in the Post Office. Early yesterday morning an armoured car (no. L13) made frequent and deliberate attempts to run down the pickets at the front and rere of the Rink sorting office. This kind of statement from the joint strike executive was the forerunner to a strike bulletin which the unions began to issue on a daily basis in response to unfavourable press coverage. That a form of press censorship was in operation became clear when an advertisement favourable to the strike which was tendered by the Irish Women Workers’ Union was refused by the Evening Herald, although it was eventually published by the Daily Telegraph. The strike bulletin typically contained accounts, for instance, of how unemployed men around the country were being warned that they would lose their unemployment benefit if they refused to take up scab work in the Post Office. A letter published in the bulletin from a political prisoner in Mountjoy stated that the governor had offered release to any men who were prepared to blackleg. We are here raising the question that we are raising, because of its effect on the general labour movement, and because of its effect upon the carpenter, the docker, the shop assistant, and every other worker at any other time. You are laying it down that military can disperse a picket, that military can fire at a picket or over the heads of a picket; that military can use terroristic methods to destroy a body of workers carrying on what I contend to be a legal operation…Is that the state of affairs to which we in Ireland have come at this day, that this government and this parliament find that the very first act of its ministry is an act of such a nature that all these things flow from it, that there is a scrapping of every principle of individual liberty? 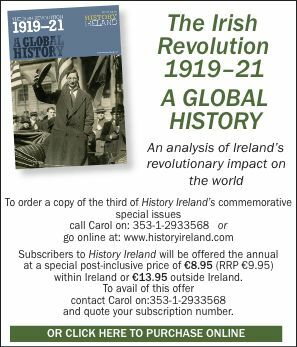 The postal strike was rapidly becoming central to the whole question of where the Irish Revolution was going. The struggle for national independence had been, apparently inextricably, bound up with the struggle for social revolution, as embodied in the figure of James Connolly. The overthrow of the ruling classes by the Bolsheviks in Russia had impacted hugely on the ideology of the Republican movement while the battle against the foreign oppressor continued. The peaceful evolution of the Free State will mean the triumph of the landlord, large land-holding and big commercial classes. The orthodox politicians who have become the custodians of the republican principle have moved far from the policy of Connolly; they are neither qualified nor disposed to cut adrift from the environment or convention of graft and profit in which they were conceived and into which they were born as a party. Today’s newspaper account of the wounding of Miss Flood, telephone operator, is clearly that supplied by the military. The union’s account of the incident was almost entirely suppressed. The newspaper report claimed that, while shots had been fired into the air, Miss Flood’s injury had been caused by a small piece of falling masonry dislodged by a bullet. The union’s version of the incident was very different. According to statements from those who had been present at the scene, the soldier had ordered the pickets out of the arch at gunpoint. As they began to move away he fired, and shot Miss Flood in the back. She was rushed to Jervis Street Hospital where it was discovered that the bullet had been deflected by a suspender buckle, so that she sustained only a flesh wound. Discretion would, no doubt, have contributed to preventing a more detailed discussion of the shooting of Miss Flood in the newspapers, given the delicate nature of her injury. Nonetheless, the shooting of a woman picket by Free State troops in the course of an official trades dispute caused outrage amongst the public in general, and increased support for the strikers. Mr. J.J. Walsh was once a prominent trade unionist. He waved the Red Flag in Liberty Hall some years ago. Strikes he then regarded as a meek and mild weapon. Nothing less than revolution would satisfy him. He is now a cabinet minister with £1,700 a year [Postal workers at this time were earning, on average, approximately £200 a year]. Later in the twenties, when Walsh had become director of elections for Cumann na nGaedheal, a journalist who arrived to interview him in his office was confronted with the spectacle of Walsh distributing brass knuckle-dusters to election workers. An incident that was typical of Walsh’s methods occurred in Limerick on 28 September 1922, the penultimate day of the strike. A Free State army officer dressed as a woman, in skirt and shawl, attempted to pass the picket at the Enquiry Office. When addressed by a striker the officer, armed with a knuckle-duster, punched the man in the face. This was the signal for a general attack on the picket by about twenty soldiers. Revolvers were produced but no shots were fired. Instead the pickets were pistol-whipped. Fifteen strikers were seriously injured in this attack, five of whom were women. The striking clerks, postmen, sorters, telephonists, messengers, cleaners, patrolmen and engineers suffered considerable financial hardship while the dispute continued. Two cuts in the cost of living bonus meant that workers’ salaries had been dramatically reduced, while prices continued to rise. Now, with no wages at all and a limited strike fund, the postal unions turned to Congress and the Labour Party for assistance. They were advised to approach other unions on an individual basis. Ironically, the efforts of other unions to help the strikers were often seriously hampered by the effects of the strike. The Railway Clerks Association of Great Britain and Ireland sent their contribution to the strike fund in late October, apologising for the delay and explaining that the appeal for financial assistance issued by the joint postal unions had not reached their head office in London until the last day of the strike, due to the dislocation of the strike itself. The members of the government thought it was patriotic for the Post Office staff to go on strike on behalf of the Mountjoy hunger strikers and on the occasion of the Mountjoy executions, while the Chamber of Commerce then called us unpatriotic. Now, when we withdraw our labour for ourselves and our families, both parties call us unpatriotic. A foreign flag generally, perhaps invariably, denotes slavery, but national independence and a national flag do not inevitably or invariably denote human freedom. That with a view to presenting a common front to the Department at the final sittings of the Commission, and for the purpose of facilitating the issue of the final report before December 1st, the executives of the Irish Postal Union, the Irish Postal Workers’ Union and the Irish Post Office Engineering Union, agree to provisional amalgamation; the question of permanent amalgamation to be discussed by special conferences of each union, as early as possible after the final report of the commission. In fact the IPU and the IPWU agreed to permanent amalgamation in 1923, when they became the Post Office Workers Union, but the IPOEU remained separate until 1989 when a merger resulted in the establishment of the Communication Workers’ Union. In a meeting with members of the Labour Party on 25 September 1922, President Cosgrave had given assurances that no victimisation of strikers would take place on settlement of the dispute. As soon as the strike was declared over, however, J.J. Walsh, the Postmaster General, dismissed the meeting with President Cosgrave as ‘informal’, thus invalidating any exchanges which had occurred. Walsh then proceeded to implement the most vicious methods of victimisation available to him. Experienced workers who had supported the strike were withdrawn on the grounds of trumped-up charges of incompetence and replaced by untrained staff who had been drafted in as strike-breakers; these same individuals who had provided scab labour throughout the strike were given permanent appointments without having to undergo the requisite medical and educational examinations; those refugees from the pogroms in Belfast who had been offered appointments in Dublin if they took up duty in the Rink sorting office during the strike and had refused, were forced to return to Belfast. In 1920 when my union struck as a protest against the treatment of the Mountjoy hunger-strikers, its action was applauded and approved by the then leaders of the Sinn Féin party, who in many cases are now members of the government. From the point of view of the British administration the strike of its employees at that period had a grave political significance, and was, no doubt, viewed seriously. The only punishment, however, which was inflicted on my members was the stoppage of pay for the two days’ absence. My Executive desires me to contrast this decision of the then much maligned British administration with the action of the present administration on the occasion of the strike of 1922 in deferring increments, and to express regret that a native administration should be guilty of such vindictiveness and such hostility to trade union action. ‘Let us free Ireland’ says the patriot who won’t touch socialism. Let us all join together and cr-r-rush the br-r-rutal Saxon. Let us all join together, says he, all classes and creeds. And, say the town workers, after we have crushed the Saxon and freed Ireland, what will we do? Oh, then you can go back to your slums, same as before. Whoop it up for liberty! After Ireland is free, says the patriot who won’t touch Socialism, we will protect all classes, and if you won’t pay your rent you will be evicted same as now. But the evicting party, under command of the sheriff, will wear green uniforms and the Harp without the Crown, and the warrant turning you out on the roadside will be stamped with the arms of the Irish Republic. Now, isn’t that worth fighting for? Alexis Guilbride is a research assistant in the Irish Labour History Museum, Dublin. J.G. Douglas, Memoirs of Senator J.G. Douglas 1887-1954 (Dublin 1998). E. O’Connor, Syndicalism in Ireland 1917-1923 (Cork 1988).